Today, Dairyland Power Cooperative, based in La Crosse, announced they will purchase power from a new utility-scale wind energy project in Lafayette County in southwest Wisconsin. The “Quilt Block” wind project will be developed by EDP Renewables, which has its U.S. headquarters in Houston, Texas. The project is approximately 98 megawatts, which when constructed will provide over 15% of Wisconsin’s wind power. The project will deliver savings to ratepayers as well as stimulate the local economy. Quilt Block will yield an annual revenue stream of nearly $400,000 to Lafayette County and the Town of Seymour, while creating hundreds of family-supporting jobs during construction. 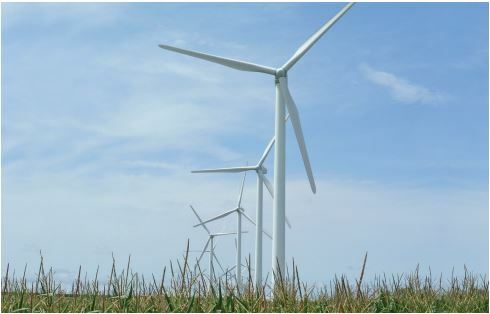 All across the Midwest, rural local governments have relied on utility-scale wind generation to minimize property tax increases. This story was covered in the Milwaukee Journal Sentinel and the La Crosse Tribune.